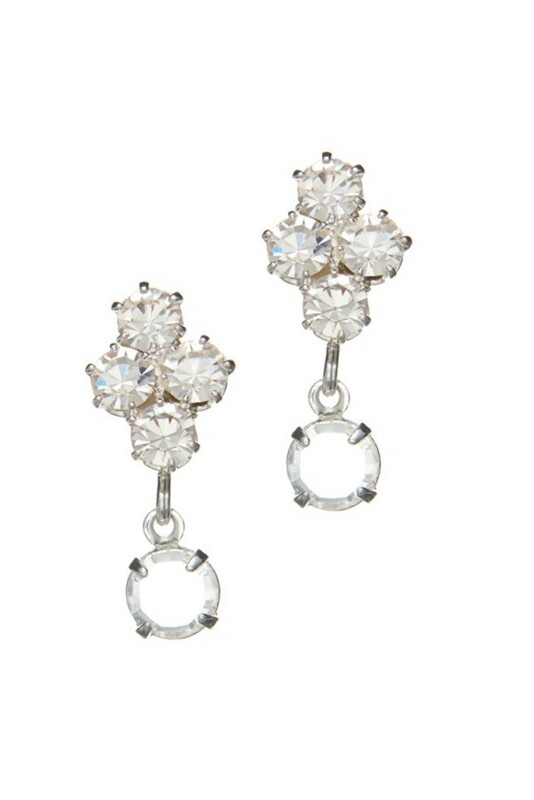 Gentle stud earrings made from crystal rhinestones. 2 cm total lenght including hanging motive. Pin is from hypoallergenic titanium. Metal components are quality silver plated.